If you have plans for a vacation to Bali, make sure you also visit the island of Lombok. Let's holiday in Lombok. The Lombok Island is well-known as a sister of Bali. 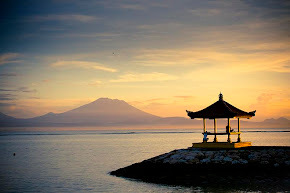 The island of Lombok is located east of Bali and can be easily accessed by air or by sea. Lombok Island sweeps across the richest tropical waters in the world and vast expanse of ocean on one of the world's most volatile volcanic belts, diving in Lombok and beyond is a new and fresh around wild marine experience for all. It is waiting for you to be discovered. 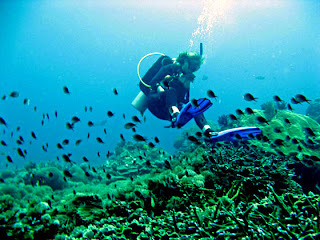 Imagine; you are in new gorgeous underwater world that no one has been explored, that is Lombok Island wild dive about. Once you did, you will be glad what you did. Submerged, immaculate marine coliseums await the avid diver, the myriad fish and invertebrates that shelters among and encrust the rugged surface provided by the clumps, shelves and branches of corals are overwhelming in their numbers, shapes and colors.